The model will not fit bariatric, extra wide, 6291, single push button release or paddle release (e.g., Invacare model 6291, Drive 10226 models, or similar paddle release designs. Our Flippin' Tray was designed specifically to fit standard 2 button release folding walkers like this one. If your walker is a Invacare paddle release model 6291 or Drive trigger release model 10226 then our Standard Flippin' Tray will not fit your walker. We do offer an option for these models here. This tray is the BEST for standard walkers! 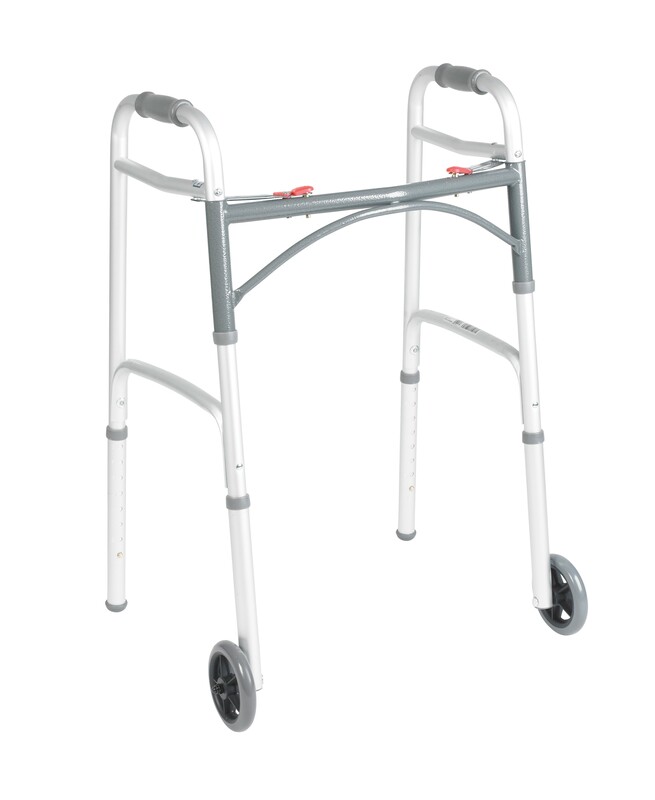 I bought one for my mom about a year ago and then found myself in a situation that requires me to have a walker. In the hospital I had my walker delivered from medical supply and a Drive Flip Tray. Drive's tray is terrible, bulky and not secure. This tray is far superior to Drive's. I love Yunga's Flipp'ng Tray! The construction, durability, the clamps, the location of the clamps, the removable top to clean... it's the best. I'm afraid to ever be without one!!! I'm going to order another just to have as a backup! I rate this a 10!